We found this strange tombstone in Calvary Cemetery in Queens. No date of birth, no date of death. 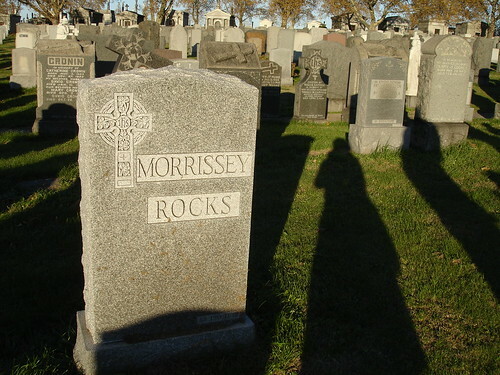 Just “Morrissey Rocks.” Is this the grave of some devoted, anonymous Morrissey fan? An man with an unusual name? Or did some hipster buy a plot and put up a stone, just for kicks? Would the cemetery allow that? I suppose I could call the management company and ask, but I’d prefer to let the Internet spontaneously reveal all. This is pretty much exactly how it went down when I upgraded to Gutsy. 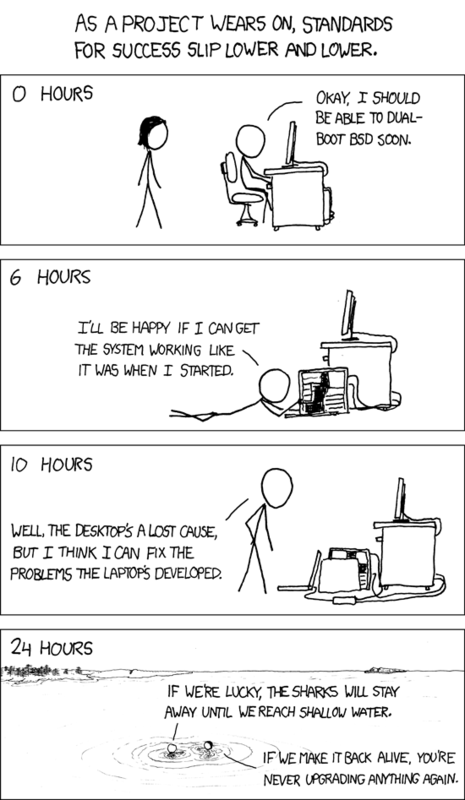 Consider this a standing endorsement of xkcd. BTW, the damage has not, to my knowledge, “been reported.” To me, at least. Me: Actually, no. You aren’t starving. You get two very good meals a day. And treats. And Best Beloved fed you extra food while I was gone. From there, it takes a turn towards the slightly-less-universal (and incredibly funny). Read the whole thing.